An Army official said that the Indian army personnel were giving a 'strong and befitting' response to the ceasefire violation. Srinagar: An Army porter was today killed and a girl injured in firing by Pakistani troops along the Line of Control or LoC in Kamalkote sector of Baramulla district in Jammu and Kashmir. "There was unprovoked ceasefire violation by Pakistani troops along the LoC in Kamalkote area," an army official said. A civilian working as a porter for the Army was killed "when the Pakistani troops resorted to indiscriminate firing, the official said. The Indian army personnel were giving a "strong and befitting" response to the ceasefire violation, he said. Meanwhile, sources said a girl was also injured in the Pakistani firing. She was taken to a hospital in Uri town for treatment. 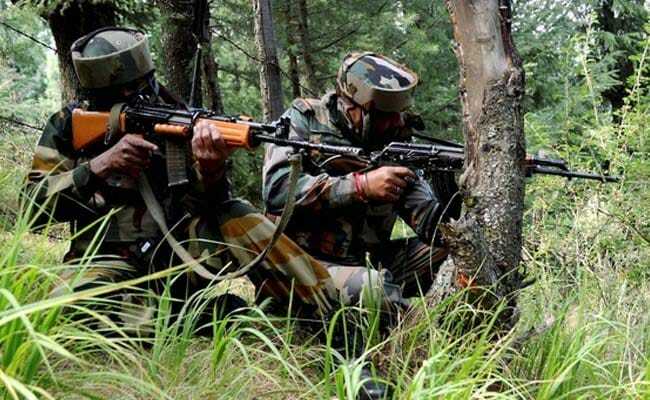 On October 12, an army jawan and a porter were killed and six others injured when Pakistani troops violated the ceasefire and shelled forward areas along the LoC in the Poonch district. Earlier this month, a home ministry official had said that Pakistani troops targeted Indian territories more than 600 times till September 30. Eight civilians and 16 security personnel were killed in the firing. It is the highest number of ceasefire violations in nearly a decade, the official said.